The criminal investigations, prosecutions and trials in politically motivated cases on trumped-up terrorism and coup plotting charges have ruined the lives of some 1 million people in Turkey, a country that is run by fanatical Islamist President Recep Tayyip Erdoğan, who has declared war on a civic group popularly known as the Gülen movement. 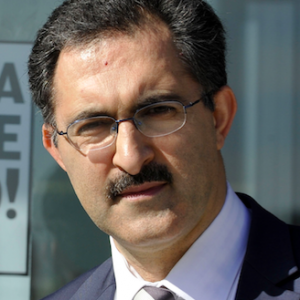 Bekir Bozdağ, a former justice minister and now deputy prime minister in the Erdoğan government who briefed the parliamentary Interior Commission on Jan. 31, 2018, told lawmakers that some 300,000 people were listed as suspects in criminal cases that involved membership in the Gülen movement. That means the lives of approximately 1 million people were turned upside down and adversely impacted by the government witch-hunt in the last year when taking into account spouses and children in the average household. Let’s not forget that the Erdoğan government goes to extremes in some cases by even dragging distant relatives of suspects into the criminal justice system, harassing and intimidating them due to assumed guilt by blood ties. According to Bozdağ, 103,907 criminal investigations remain pending on charges of membership in and being an administrator of the Gülen movement. In terms of crimes against the constitutional order of the Republic of Turkey, in other words, coup plotting charges, there are 4,725 cases with a total of 11,228 suspects named. Criminal cases that combine both terrorism and coup plotting charges have 7,436 listed as suspects in 2,913 cases. In total, 214,442 people are considered to be suspects in 105,709 separate criminal investigations in Turkey. The total number of fugitives stands at 14,191. Even these figures, which relate only to the investigative phase, do not tell the whole story. Bozdağ also revealed the number of cases that have moved into the indictment and trial stages. Accordingly, 88,400 people have been indicted and/or are being tried for alleged links to a terrorist group in 42,930 separate criminal cases against the Gülen movement, with 3,625 people listed as fugitives. Of these people, 20,406 are in pretrial detention. The other 50,927 are standing trial while free on their own recognizance but are subject to judicial supervision, such as travel bans and the requirement to check in with police on a regular basis. 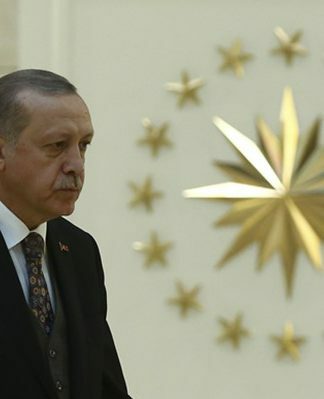 A total of 12,300 people have been indicted and face trial on coup plotting charges in 1,415 criminal cases according to the government. Two hundred twelve people in this category remain at large. Again, in this category, 4,486 people are in pretrial detention, while the rest are subject to judicial supervision. In the third category of cases where suspects were charged under both anti-terror laws and crimes against the constitutional order, 10,534 defendants in 1,071 cases have been indicted and/or are being tried. In total, 90,166 people are under indictment and/or are standing trial in 43,274 criminal cases. Of them, 24,660 are in pretrial detention. Although Bozdağ floated a lot of numbers in different stages of the heavily politicized criminal justice process, which is now being used to persecute political opponents, critics and dissidents, he deliberately omitted a key statistic from the tally: the number of people who were jailed during the investigative stages when there was no indictment and no trial. This is the stage where we see a large number of detainees who languish behind bars for months and in some cases years before they see a judge, indictment and evidence, if any. He told lawmakers he could not gather that data in time and did not want to mislead the commission members. How thoughtful of him. This is complete hogwash. The reason why we do not know how many of the 214,442 people who were listed as suspects during criminal investigations were in fact jailed is that the government does not want the world to know. 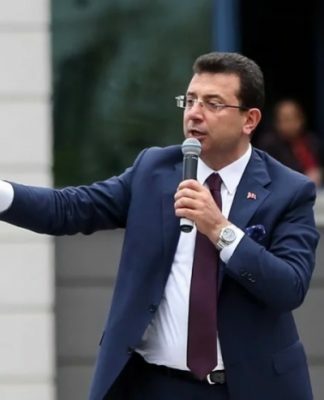 In fact, it was Bozdağ himself who ordered the staff of the Justice Ministry to stop publishing the daily data on the number of suspects and convicts who were incarcerated in Turkish prisons in 2017. The data had previously been posted on the statistics page of the National Judiciary Informatics System (UYAP), which is managed by the Justice Ministry. The website was last updated on March 18, 2017, showing 80,482 people in pretrial detention and 108,734 people as convicted and serving time. Even then, it was clear that there was a considerable spike in comparison to figures posted on the site a year earlier, on March 18, 2016, which showed 26,257 people in pretrial detention and 141,739 convicted of a crime. It corresponded to a 207 percent increase within a year of the number arrestees who had not yet been convicted. Traditionally, people who were in pretrial detention were usually released pending trial during the indictment and trial phases because the evidence did not stand up to scrutiny and fell below the evidentiary threshold. Even with the current state of the judiciary, which is completely subordinated to the whims of the country’s Islamist rulers, the pattern still holds although with a considerable reduction in the number releases. The government figures tell us that the ratio of imprisonment for defendants in the trial stage stands at roughly one-to-three, meaning that one in every three is being tried while incarcerated. It is difficult to apply that ratio to those who are indicted and/or tried and most likely the opposite ratio is in the offing because of the past pattern that is still valid ratio-wise. 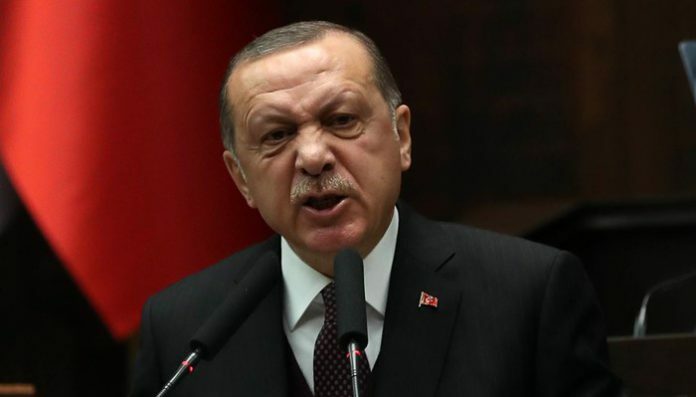 One thing, though, is crystal clear: The Erdoğan government has blatantly been abusing pretrial detention as a punishment in and of itself to boost the climate of fear in Turkey by putting so many people in jail only to release them when their trials start. If we are to assume that two out of three who were detained are formally arrested and incarcerated pending indictment and trial, the number of suspects who are in jail would be estimated to be around 143,000. When suspects jailed during the post-investigative stage are added, the total number of defendants imprisoned on links to the Gülen movement would be 167,500. Even this figure sounds conservative. What we still do not know is how many were convicted and moved into a different category for which the government has never provided any figures. Compounding matters more is the amnesty bill the government rushed through the rubberstamping Turkish Parliament in August 2016 that allowed for the release of 44,000 convicts who were serving time according to data provided to Nils Melzer, the United Nations special rapporteur on torture and other cruel, inhuman or degrading treatment or punishment, who talked to a representative of the General Directorate of Prisons and Houses of Detention on Nov. 28, 2016 during a visit to Turkey. Although the government claimed murderers and rapists were excluded from the amnesty, that turned out to be false. For example, Oğuzhan Aydın, who killed Father Andrea Santoro of the Saint Maria Catholic Church and was convicted of murder when he was caught with the murder weapon. He had been tried, convicted and sentenced 18 years, 10 months. With the amnesty, he was among those who were released. With the caution that there may very well be some overlapping cases, 304,608 people who are alleged to have connections to the Gülen movement are currently being put through the criminal justice system in Turkey one way or another on terrorism and/or coup plotting charges. We also do not know about the number of people who were originally named as suspects and detained but freed when prosecutors dropped the charges against them. There is also an odd category of defendants who the government claims have aided and abetted terrorism although they are not members of the Gülen movement. Many prominent people including journalists, lawmakers and even foreign nationals were dumped in this category because of the aggravated sentences anti-terror laws carry in Turkey. The figures for these victims are not available, either. We have recently been given a target figure that may indicate how far Erdoğan is willing to go with this witch-hunt. According to a paper issued in October 2017 by the police academy in Turkey after a workshop that was attended by prosecutors, academics, judges and other government officials, it was pointed out that 500,000 suspects from the Gülen movement had been identified by authorities. Participants of the workshop lamented that it was not possible to put all of them in prison because of the lack of the capacity in penal institutions. This shows the mindset in Turkey, and that is why the Erdoğan government is moving ahead with plans to build more and larger prisons across Turkey. Tracking the weekly number of detentions from the Interior Ministry, which publishes data on how many members of the Gülen movement are detained in a given week, shows that on average some 500 people are taken into police custody. The number may go as high as a thousand in some weeks and drop to 400 in others. In any case, there appears to be no letup in the campaign of rounding up members of the movement and putting them through the criminal justice system where they are tortured, abused and maltreated. If half a million is the target, then the lives of some 2 million people would be destroyed as a result of this relentless crackdown. Perhaps we have only seen the tip of the iceberg in Turkey in terms of this massive crackdown on the Gülen movement, which has borne the brunt of the repressive regime as the main critic of the Erdoğan government. All this is happening before our eyes in a country that straddles Europe and Asia. The real assessment of how many lives this 21st century tyrant has ruined will only be known when the rule of law and the independent and critical media are both restored. We certainly lack reliable data here, and the Turkish government tries to downplay the figures. But even the most conservative numbers and estimates based on the available data are beyond anything we could have imagined in Turkey only a few years ago. That is a quite painful but valuable lesson: If democratic backsliding is not stopped in its early stages, it can quickly morph into a giant avalanche that will crush anything standing its way and destroy any and everything else.